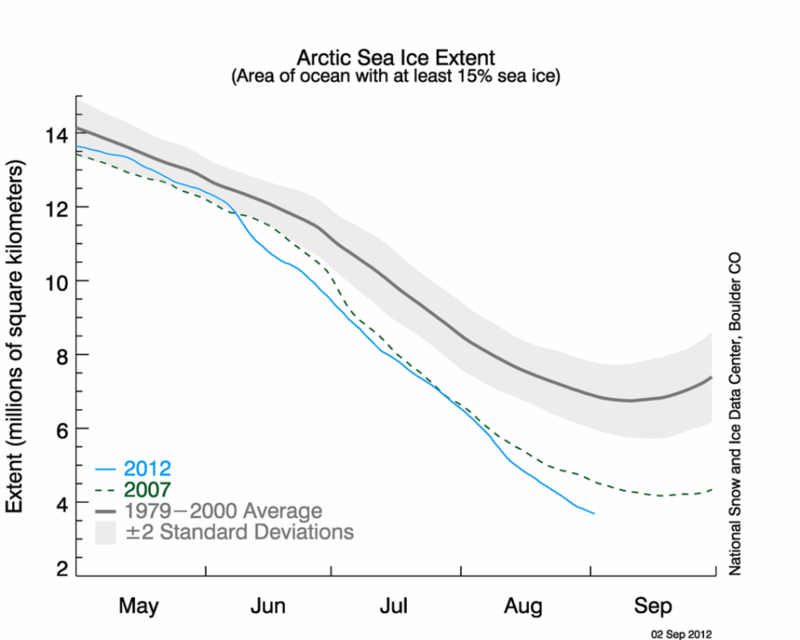 In September 2012 the extent of Arctic sea ice hit a new low, the smallest area ever recorded. 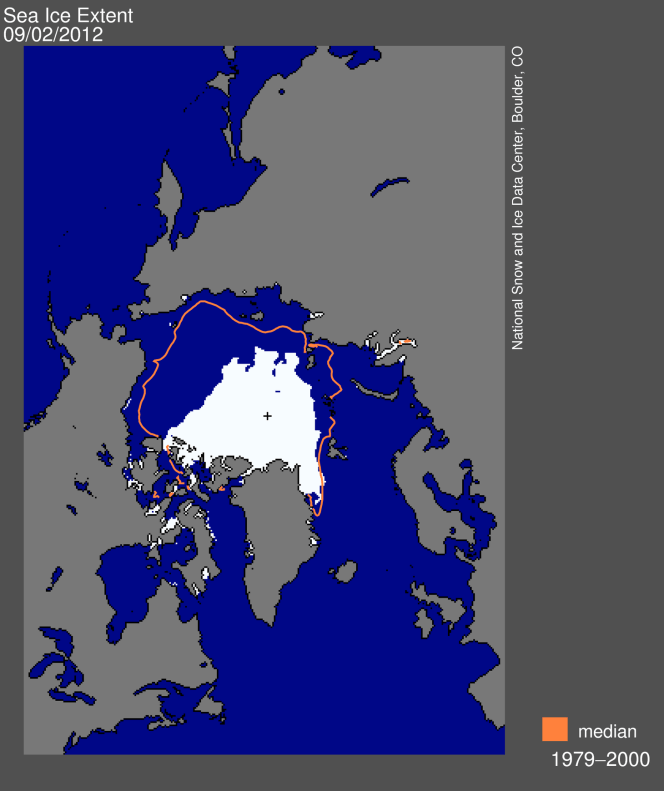 The extent of sea ice is recorded daily by satellite and published on the US Government National Snow and Ice Data Center website, from where the map and graph are taken. On the map the white area shows the extent of the ice cap on 2 September 2012 (the website is updated daily) and the orange line show the average (median) extent of the ice cap for the same day for the years between 1979 and 2000. The graph below shows the total extent of ice day by day through the summer of 2012 (blue line) compared to the average from 1979-2000 (grey line). The shrinking summer ice cap is one of the clearest indicators of the effect of climate change. While the pattern and extent of melting varies from year to year the trend is unmistakeable and it is very likely that the ice cap will continue to shrink in extent. This has huge implications, for both the human population of the area, the wildlife, for weather in the northern hemisphere and for the northern oceans. The impact of these changes is not yet fully understood but they are likely to be profound. Here is a link to a BBC News article with more information. Here is a link to the BBC news report on YouTube.